At Fulmore Chiropractic, our award-winning wellness center Orlando is designed to help our patients meet and exceed their health and wellness goals. 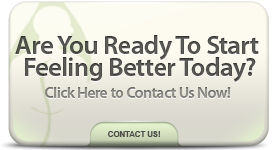 Many of our patients come to us when are desperate for relief from chronic back pain. Others find themselves in need of our unique physical therapy programs. Others, still, look to us with an interest in overall peace of mind, body and spirit. No matter what the case, we believe in a wellness approach to better health. Whether that means focusing on a specific area or taking a multi-level approach, we care about your health goals and we’re excited to help you reach them. At our Orlando wellness center, we’re proud to offer several services, treatments, and non-invasive procedures to help you better yourself on all levels of health. Relief from Back Pain: Back pain affects more than just one’s physical wellbeing. Chronic pain can have a profound effect on your moods and emotions, and it can interfere with every aspect of your life. From appetite and activities to sleep and concentration, we cannot function at even close to full capacity when pain is always at the forefront. At Fulmore Chiropractic, we aim to fix the root cause of your pain, leading to long-lasting relief and pain management, so that you can concentrate on living a more fulfilling life. Physical Therapy Programs: Unlike many traditional physical therapy locations, Fulmore Chiropractic offers a dual approach; our physical therapy programs incorporate non-invasive techniques to restore an injured patient’s functionality and mobility while assessing and correcting the root cause of the problem. We don’t just relieve pain—we do whatever we can to stop it at the source. Massage: Our patients come to us for a natural, non-invasive treatment option to many modern ailments. Chiropractic massage can bring refreshing relief to many of the problems associated with spinal disorders. You won’t find that level of knowledge or skill at the spa. On top of that, massage is a huge part of our holistic approach to your health. At our wellness center Orlando, we use massage to promote physical as well as mental and spiritual wellness. Sports Massage: Sports massage is an excellent way for athletes to keep their bodies and minds in top condition year-round. Athletes can benefit from sports massage during intense training, before a performance or after a game or event. The main goal with sports massage is to heal existing injuries, prevent further injury, and relieve pain in active individuals. At Fulmore Chiropractic – Wellness Center Orlando, our dedication to our patients’ health is matched only by our commitment to provide the community with natural, effective and affordable healthcare. If you, a friend or a loved one are in pain, or if you’re simply looking to improve your health on every level you can, please contact us for more information today. We are honored to be recognized as a leading wellness center Orlando has to offer, and we look forward every day to bringing total health and harmony to the community through holistic treatments and non-invasive procedures.